Join our Summer Junior Olympic Track & Field Program! 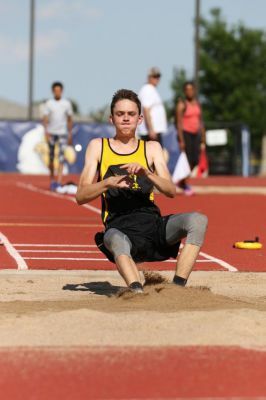 Read through the site and join us for a fun summer of competition with a goal of improving your marks and even ​qualifying for the National Championships. Is to Provide a goal oriented JO Program that will improve young athlete's confidence, self-esteem, and athletic ability through a progressive realization of their goals. We are focused on having fun, developing character, making new friends, and helping each athlete achieve their goals and push beyond. We believe that every athlete is a winner. Pole Vaulters that were part of Coach "Spooks" Winter Program $105.00. Warm-up T-Shirt are free with registration. Competition singlet tank tops will be $20. Athlete and family will be responsible for travel costs and meet entry fee $5-$12 each event. Any Parents or Family memebers want a team T-shirt 20$ each. If you have a sibling also joining the team, contact Coach Krich for the discount code when registering. 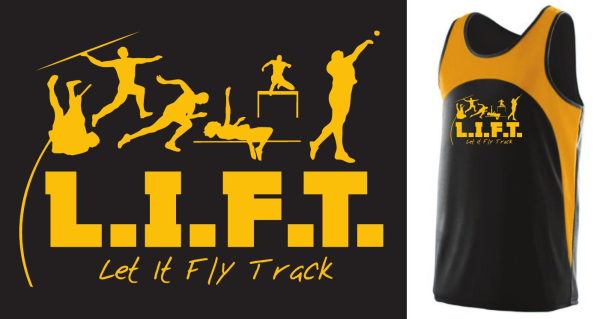 Let It Fly Track LIFT is a sanctioned Junior Olympic (JO) team with the United States of America Track & Field association (USATF) and the Amature Athletic Union (AAU). Our schedule is set up to follow a USATF schedule, but we are also associated with AAU to allow for options. All athletes need to have a membership with USATF and have a USATF membership number which cost $20.00. You can get your membership number through https://www.usatf.org/membership/application/index.asp. When signing up for your membership be sure to affiliate your membership with Let It Fly Track LIFT, our team number is 32-0105. After you have signed up please go to the Printable Documents below to print, complete and turn in the filled in documents to Coach Matt Krich.